If you are in the camp that baking is complicated, that making desserts or other sweet treats are a chore and an absolute bore, then man have I got the perfect recipe for you! And I wouldn’t even call it a recipe really– more of a method actually. Three Ingredient, Mini Lemon Tarts. And the real kicker is, you don’t even make anything from scratch either. And trust me, whoever is the recipient of these little springtime beauties, will be none the wiser! Preheat oven to 350°F. Generously spray mini muffin pans with cooking spray. If using the break apart sugar cookie dough, break apart each square, roll into a ball, and press into the bottom and up the sides of each cavity of the mini muffin pan. If using a roll of cookie dough, use approximately 1 tablespoon sized balls and do the same. Bake cookie tart shells for about 8-10 minutes, until they just start to turn golden around the edges. Watch them carefully! Sometimes they fill the center in a bit while baking, no worries, just grab a teaspoon and press into center of crusts to create a well while they are still warm and very pliable. The end of a wooden spoon works nicely for this as well, just be sure not to go all the way to the bottom. Cool them almost completely in the muffin pans and then remove from the pans carefully. They should pop out if you’ve sprayed the pan well, but using a dull, butter knife to pop them out might help. Just look at those cute little vessels– ready to be filled! Fill the cooled cookies with lemon curd and top with a berry of your choice. I personally love these with raspberries or blackberries, but blueberries or strawberries would be lovely too! Really, it’s whatever looks good that week at your local supermarket. Prior to serving, remove from refrigerator and allow to sit at room temperature for 10-20 minutes, but can be kept at room temperature for several hours. These will get gobbled up in no time at all! Be as imaginative as you like! What makes these sweet little things impressive, is in the sharing of them! So, a little under 2 weeks back, we hit 78 degrees as a high one weekday. I met one of my best girls for dinner and we ate outside on a patio. All that to say, although I love winter and all its bleakness, its bared trees, its accessories, and its crispness, SPRING is coming. Now, let me say this, these are not trends off the runway from NYC or Paris, they are simply looks that I love and may not be what’s “in” for Spring or Summer 2019; simply what I am looking forward to. I am never that good at following what’s current. I have said it before, and I am sure I will say it again, but for me, Animal print is a neutral. 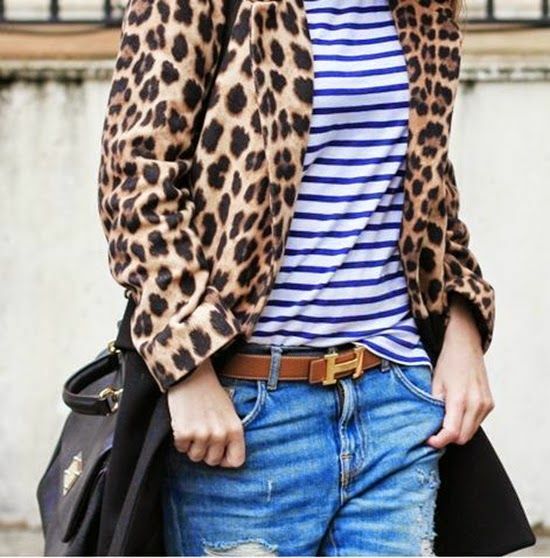 In my closet, or in my home, I treat leopard print, and any sort of animal print really, as I would any other neutral. I wear & pair it with solids, patterns, floral, and even other animal prints. 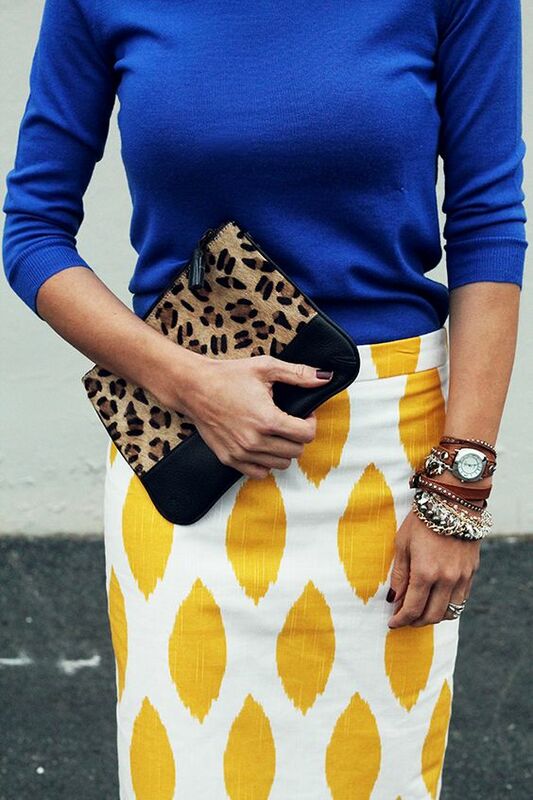 I love the juxtaposition and the pattern play! 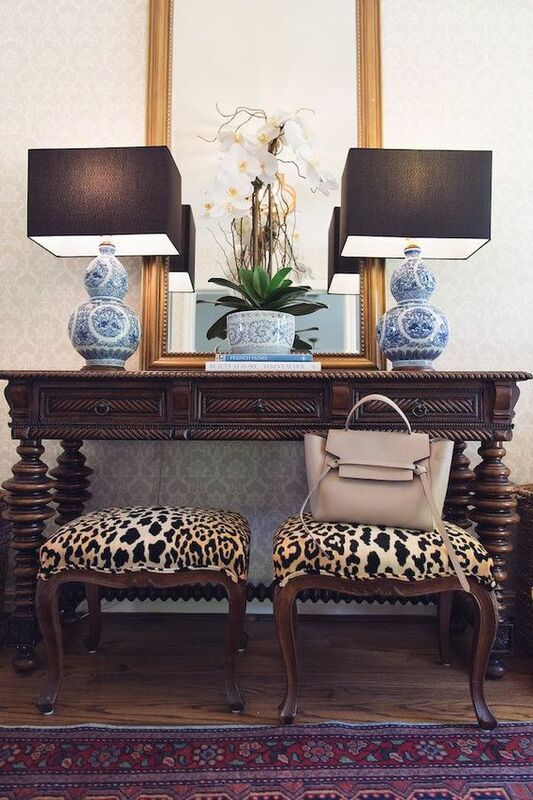 And people often ask, are there any rhymes or reasons or rules to pairing animal print with other textures and patterns in your home or in your wardrobe? And as far as I know, there isn’t! The only rule I ever abide by is if I love it, I do it. Mix in small mentions or whispers of it. Earrings, handbags, a scarf, a pair of sandals or booties. And in your home? Perhaps a runner or a rug or even an animal print throw wrapped around your favorite cozy chair. And then add another pattern, a bright hue, or another texture that you love. I think you will be surprised how well the 2 will complement each other. I have always been a monochromatic dresser, at least for most of my adolescent and adult life. I love the way an all black ensemble looks and feels. But, now it’s time to lighten up a bit and play around with this same trend in some lighter, airier, neutral hues. Some tips for all-over monochromatic looks? Pick similar hues that complement each other, ie a blush and a taupe or a white and light, heather gray. Pick same hue, but slightly different texture one from another. Don’t be afraid to go all-over-same-color! It is chic and simplistic and perfect! When you commit, commit to it. And this look isn’t just for “dressy” outfits… Try rocking it on the weekends and in lounge or athletic wear too. Scarf-Print Patterns everywhere but scarves! 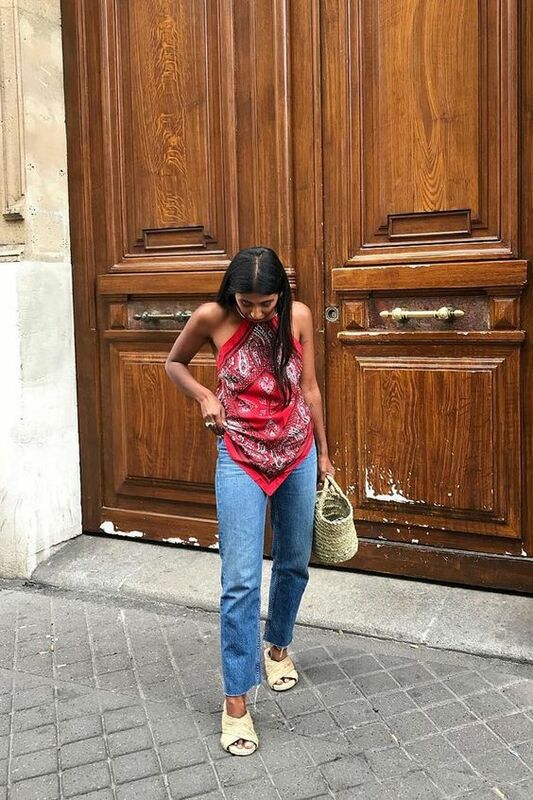 You know those patterns I mean– paisley, florals, and even bandanna print? Those patterns you typically tie around your neck? Well now, try them all over! I love the ethereal lightness of this trend in beautiful blouses, kimonos, and lightweight, all weather jackets and sweaters. I think it’s the perfect, punchy and bright addition to any spring or summertime wardrobe! 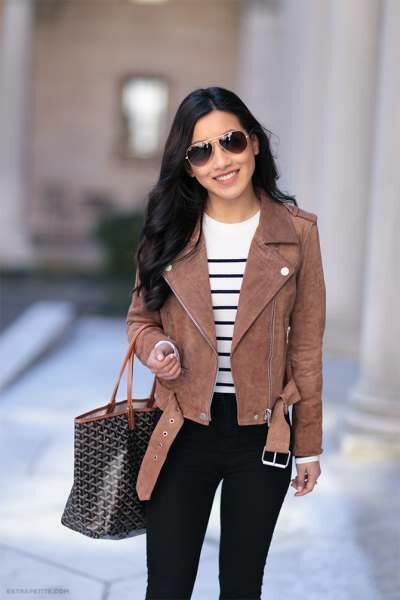 I love a good, classic Moto jacket. I wear them to work, to play, running errands, on vacation, and everything in between. In fact, I have 3 different ones hanging in my closet now! 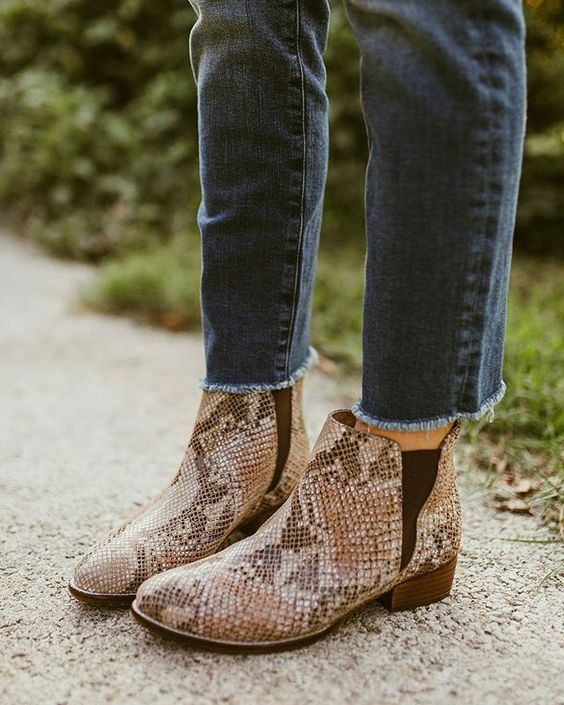 And you can pair them with just about anything in your closet! Jeans and a Tee? Yep! A floral, summery maxi dress? Yep! But, I am seriously crushing on these lighter hued, soft suede, and even belted versions I am seeing lately! 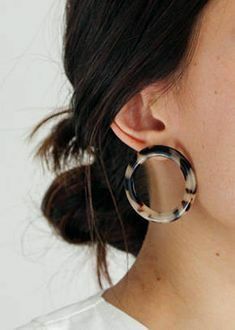 They truly are one of those pieces that you can just throw-on-and-go and look pulled together and polished in a flash! So, magenta is a “hot” Pantone color of choice for Spring & Summer 2019, and, for once, I’d love to jump on this bandwagon! This color so reminds me of my Nana as she loved the way she felt and looked when she rocked a really bright shade of pink or purple. And who doesn’t want to emulate their Nana’s?!? This hue is popping up everywhere around me and it’s bold and bright and rich and makes me so very happy! Pink not your thing? Totally fine! Maybe just add a magenta handbag or a swipe of magenta lip color or nail color just to dip your toe in the trend. You never know what you might think! We can all surprise ourselves from time to time. Whether you try one of these Springtime favorites or none of them, I hope you were inspired to try something new or to pull a forgotten about item buried deep in your closet, and give it new life! Most of all, have fun and live life stylishly! MY 2017 at a glance.